We've added color! 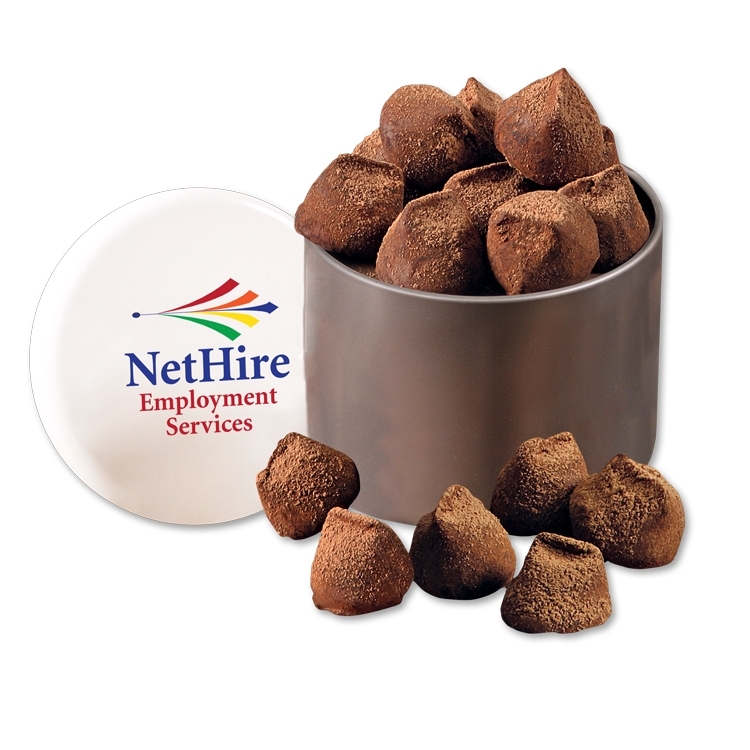 These designer tins feature your full color logo on the lid and are packed with 11 Cocoa Dusted Truffles, three and a half-ounces. After the delicious contents have been enjoyed, this useful tin will serve as a convenient place to keep coins, paperclips, or other small office items. Tins are 3.25" in diameter and 3.625" high. • Price includes 4-color process imprint on cover. • Absolute minimum is 96 pieces.